My dad has lots of memories of eating cookies growing up. We’ve already shared hermit cookies, ice box cookies and shortbread cookies. But, since Grandma Dora’s recipe boxes are overflowing with cookie recipes, I decided to try another one. 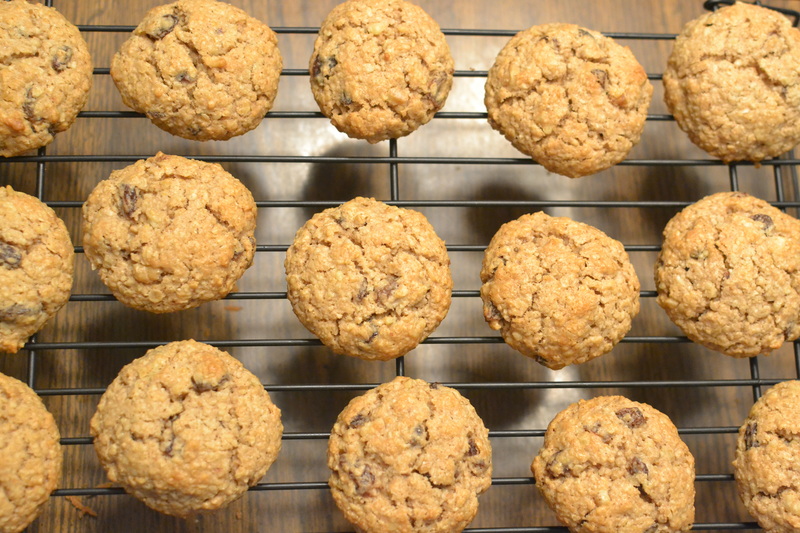 I found several different oatmeal cookie recipes. When I was trying to decide which one to use, I found one that had the word “good” written in the corner. That seemed like a good sign, so I pulled it from the box. My mom must have taken the idea of rating recipes in the upper right corner because she has the word “good” or “really good”, etc. 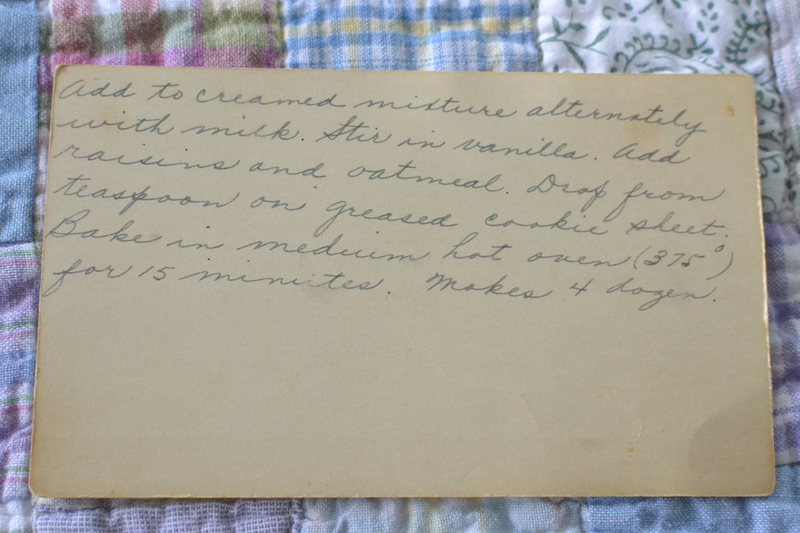 written on many of her recipe cards. 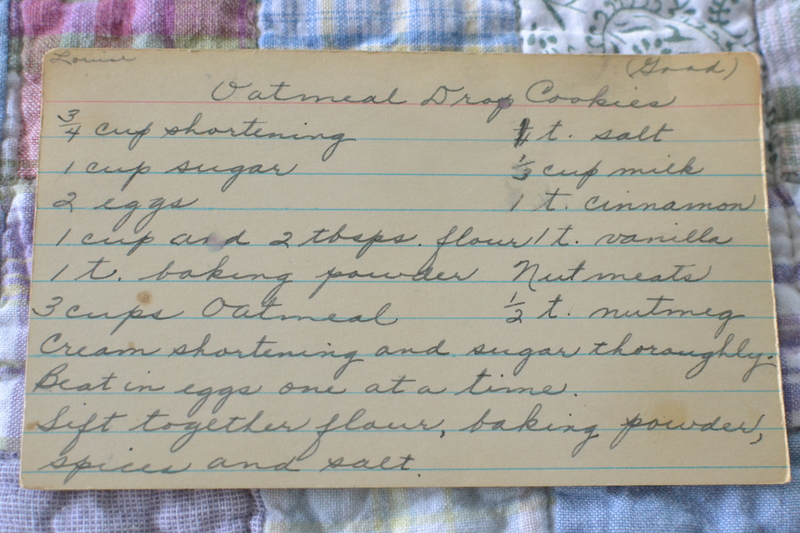 My favorite is a recipe I found in her recipe box on which she wrote, “okay, not great.” She must have tried the recipe, thought it was only okay, so wrote it on there, and then put it back into her recipe box. Funny. 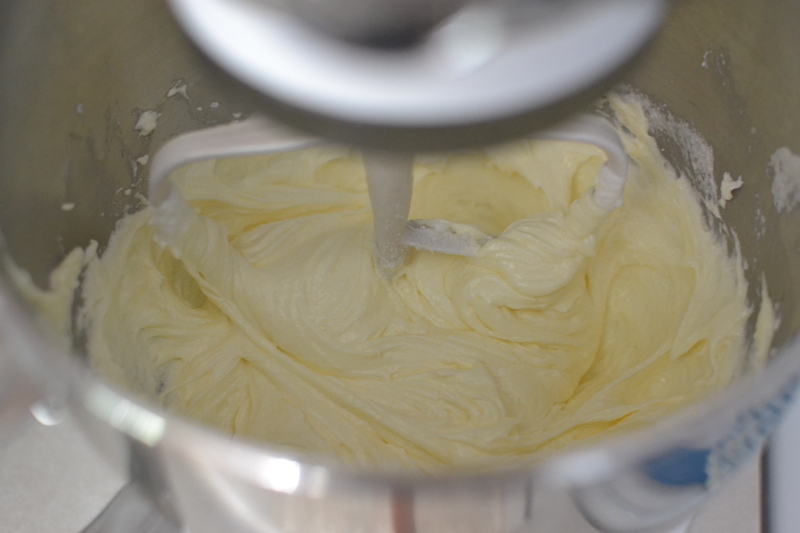 Cream shortening and sugar thoroughly. Beat in eggs one at a time. Sift together flour, baking powder, spices and salt. 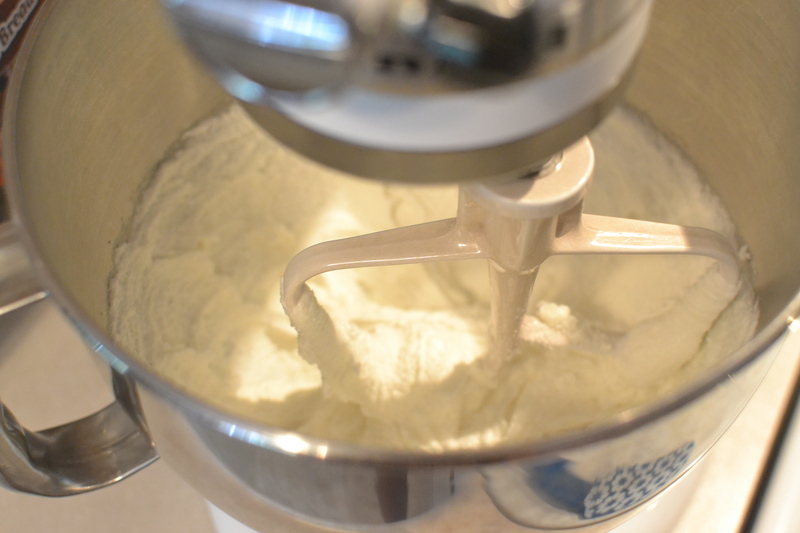 Add to creamed mixture alternately with milk. Stir in vanilla. Add raisins and oatmeal. Drop from teaspoon on greased cookie sheet. Bake in medium hot oven (375 degrees) for 15 minutes. Makes 4 dozen. I creamed the shortening and sugar first. I then added the eggs one at a time. It made a beautiful, creamy mixture. 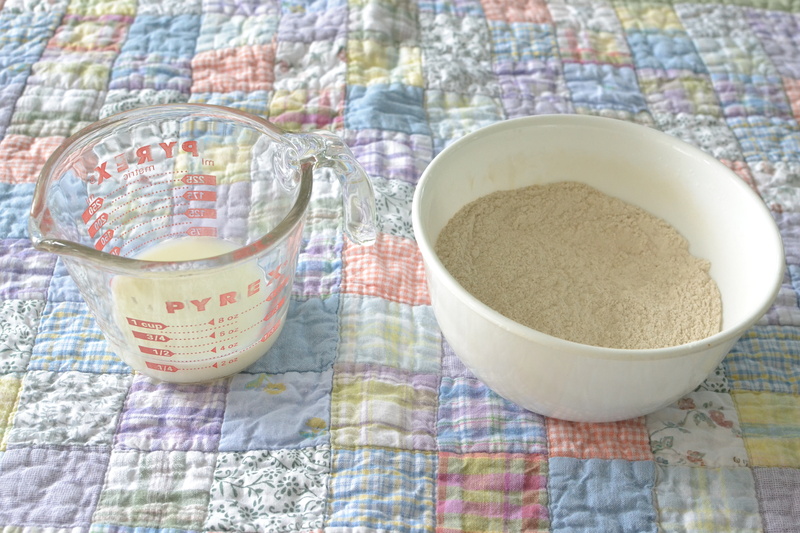 I then mixed together the dry ingredients (except the oatmeal) and the added them alternately with the milk. After that, I added the vanilla. 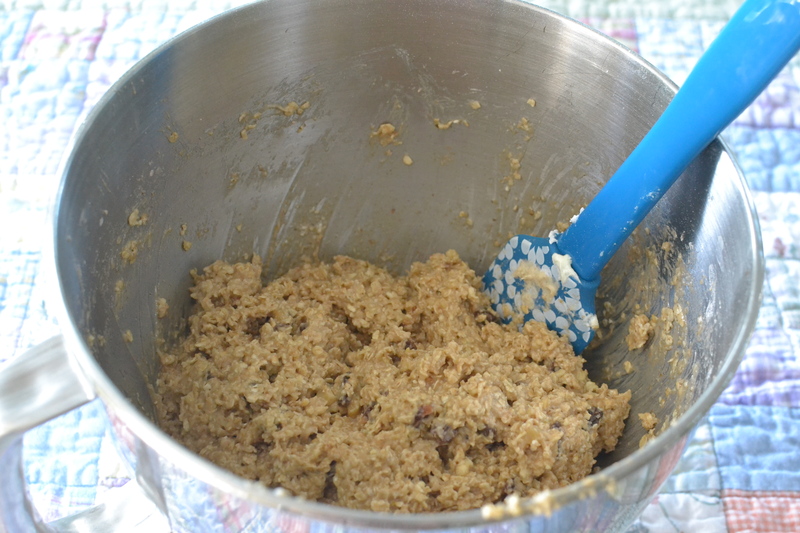 The recipe just called for nutmeat and raisins (no amounts). I decided on a cup of each, but I’m sure they would be fine without them for those who don’t like those tastes. I added the oatmeal, raisins and nutmeats and had a nice dough. I put the dough out on the cookie sheets. I baked them in the oven for about 13-15 minutes. At first I thought this would be too long, but it turned out just right. The cookies were delicious. They have a distinct, old fashioned taste that you’re sure to enjoy. I hope you give them a try. 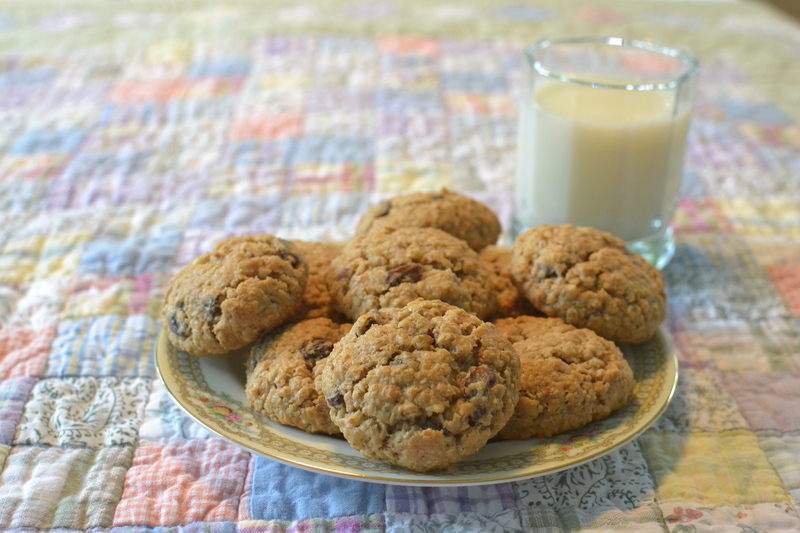 This entry was posted in Cookies, oatmeal and tagged baking, Cookies, dessert, grandma's cooking, homemade, Oatmeal, Oatmeal Cookies, Raisins, scratch cooking, walnuts by GrandmothersRecipeBox. Bookmark the permalink. 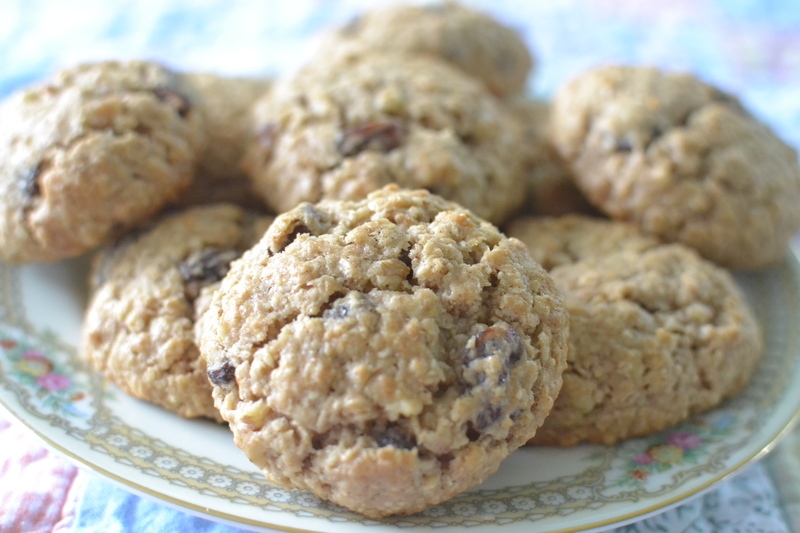 Oatmeal and raisin cookies are one of my favourites – I love the chewy texture. I have a question about the “shortening” – does this mean butter? 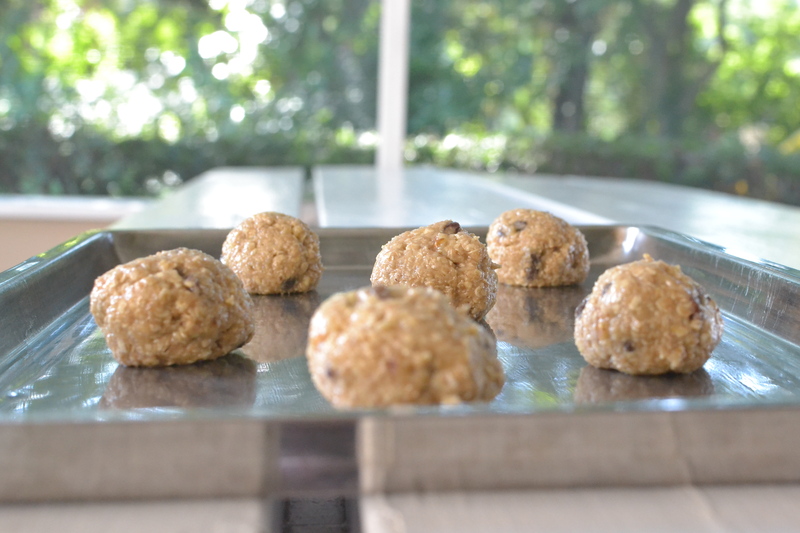 I did use shortening, an organic one that is pictured in our Hermit Cookies Recipe, but you could use any kind. I would think butter would work fine too, though your cookies would probably be slightly flatter when baked. I made them as an after school snack for my kids because they were lower in sugar. My boys devoured them! I used butter instead of shortening and they were still quite puffy. I also added chocolate chips (instead of raisins) to most of the batch and that made them extra special! Rebekah, I’m so glad your boys liked them! Thanks for the tips on making the recipe to your own liking. Good to hear about the butter substitution, too. The chocolate chip addition sounds AMAZING! Thanks Rebekah, I’ll have to try them!